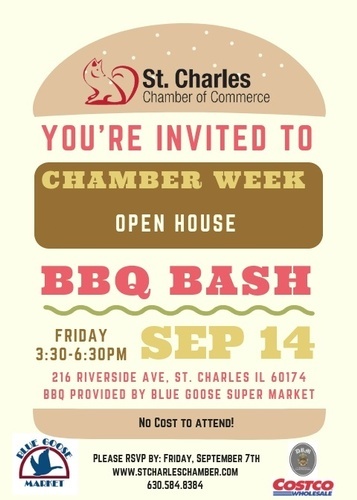 You are invited to the St Charles Chamber of Commerce for a BBQ BASH! Blue Goose Supermarket will be providing the BBQ! FREE! Registration is REQUIRED to ensure enough food is supplied.